WWDC is under 12 hours away, and we’re still trying to understand what could possibly happen. 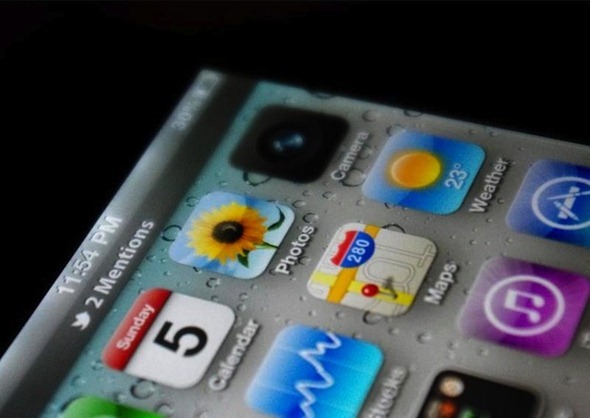 Whatever your views are, a last-minute leaked picture of iOS 5 via TechCrunch might confirm a few rumors. Since the age of Photoshop, coming up with an image like that is not that difficult anymore, and someone could have very well just taken a standard iOS 4.3 screenshot, modified it, then made a low-quality photo capture just to make it look blurry and "cutting-edge", like many "spy photos" usually are. Yet, we shouldn’t write off every leak as fake the second we see it, since there’s no evidence that this one isn’t real. If this picture is to be believed, iOS 5 will look visually identical to the current version, aside from the new features, which is in line with the way Apple has done upgrades in the past. There’s also a new camera icon, which while many might see as an evidence that this picture is fake, I see it the other way around: fakers wouldn’t go through the trouble of designing such a high-quality icon for a quick fake, hours before the big event. Apple has replaced icons in the past, this can be another one of those replacements. And maybe, just maybe, we’ll see a revamped Camera App? More importantly, this alleged screenshot also depicts iOS 5’s rumored social integration, which while it doesn’t look as fancy as it did on artist-made concepts, it’s closer to what one would expect from Apple. There’s also the possibility that all notifications within the system will look like this, which would be way less intrusive than the current pop-up notifications. We can’t tell how users would be able to interact with said notifications, but we’ll soon find out. Apple is known to hand out unreleased software to a few select developers so that they can get their software ready in time for Apple’s official unveiling, and to assist the company in introducing the software itself. Some companies got to show off software with support for then-unreleased features in the past: that could only be achieved by delivering new versions of iOS ahead of time. WWDC will kick off at 10 AM PST, meaning 1 PM EST or 6 PM GMT. We’ll bring you the newest announcements from the conference as it happens. Stay tuned!